The Sand-Sculpture Artists of Puri : Namaste! 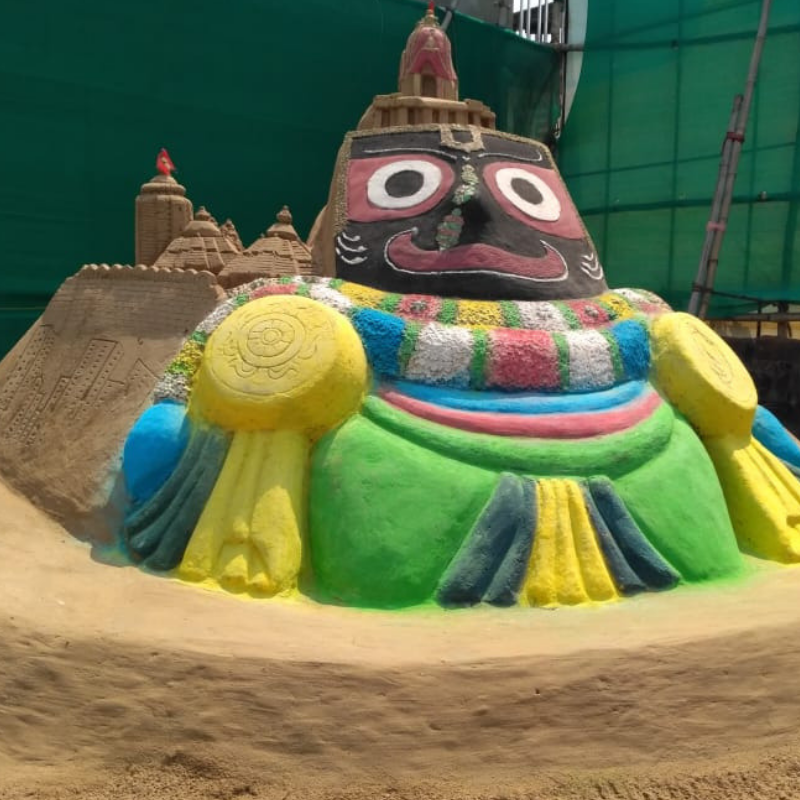 The land of Lord Jagannath – Puri is also a launch pad for Sand Artists. 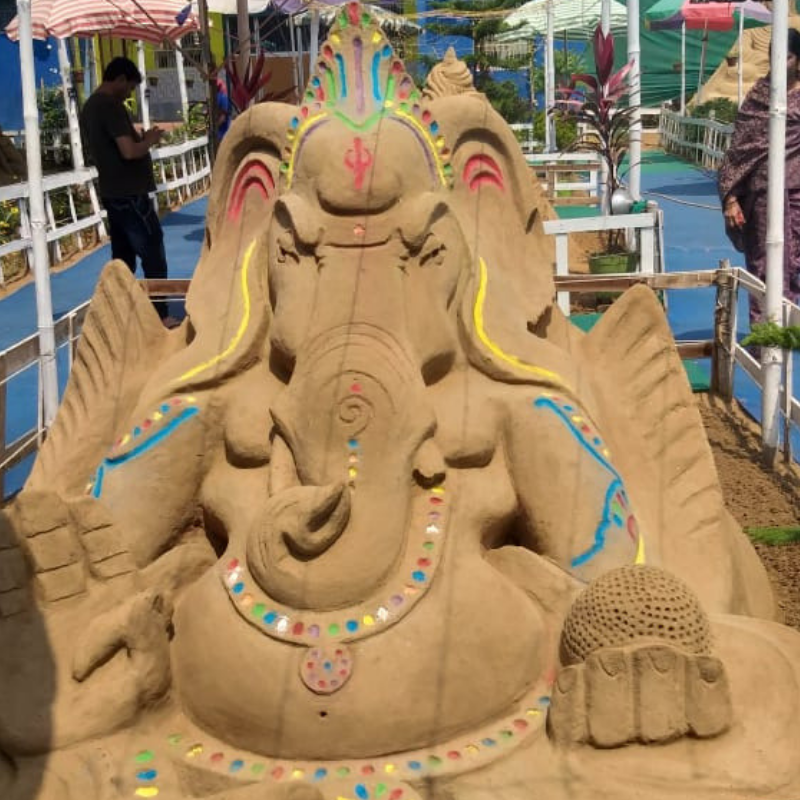 This art of shaping sculptures on sand became popular after Sudarshan Pattnaik started representing the tourism department of the Government of India during 1998. Who knew, this child of destiny will represent India in more than 60 international Sand Sculpture championship and festivals and would bag 27 awards for the nation. 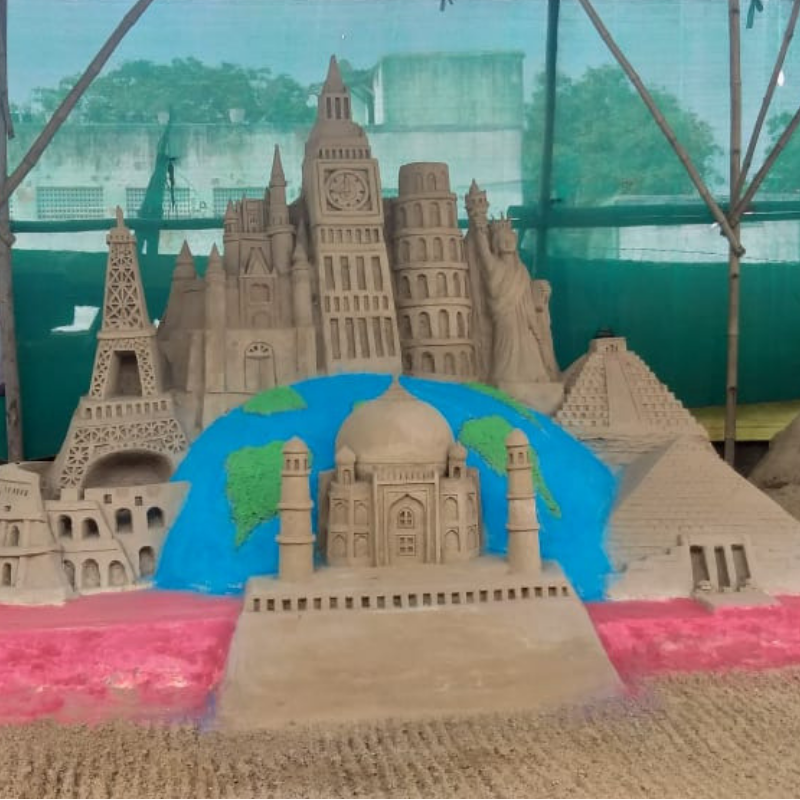 From our recent Puri tour, here’s the glimpse of the sand art on display made by the budding artists. Although it was March- the beginning of summer, still we could feel the heat. And the Government did good laying shades for artists and visitors. 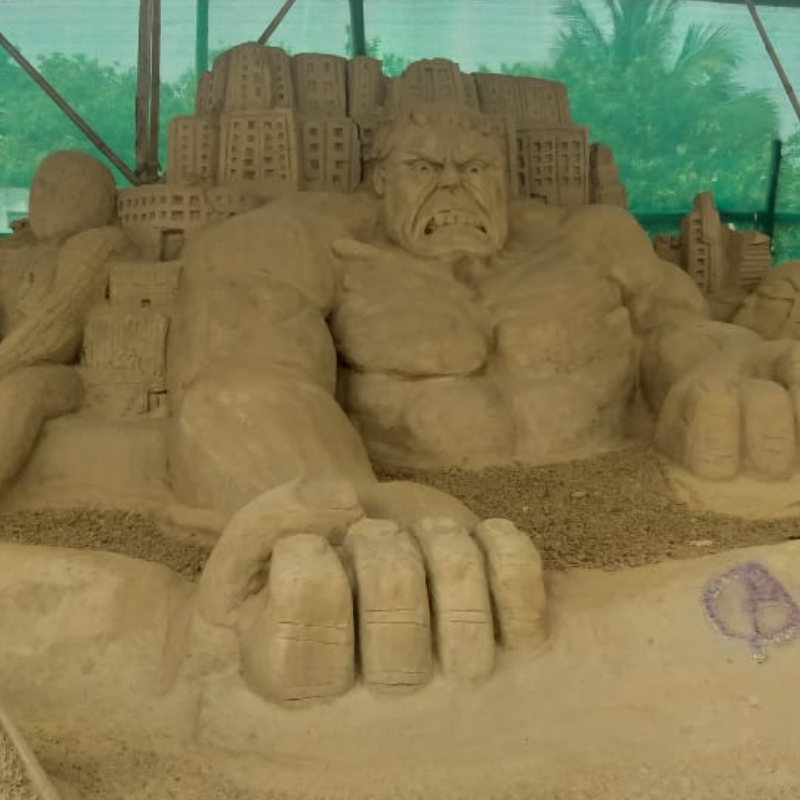 And we found a sand artist who is an Avenger’s fan as well. 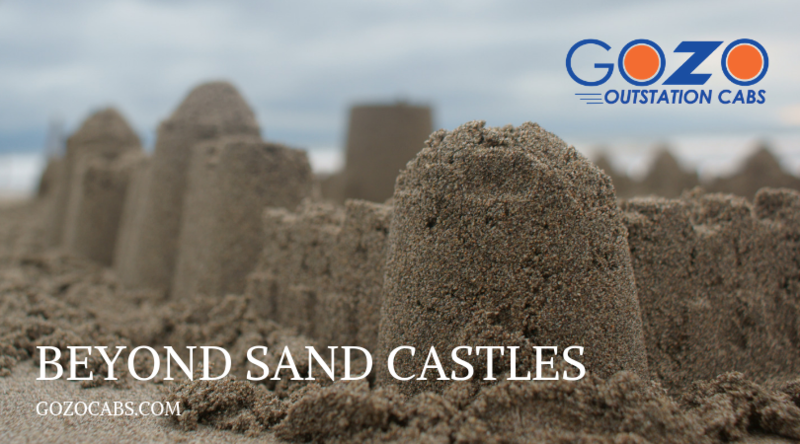 Sand artists have special traction for carving God’s sculptures. 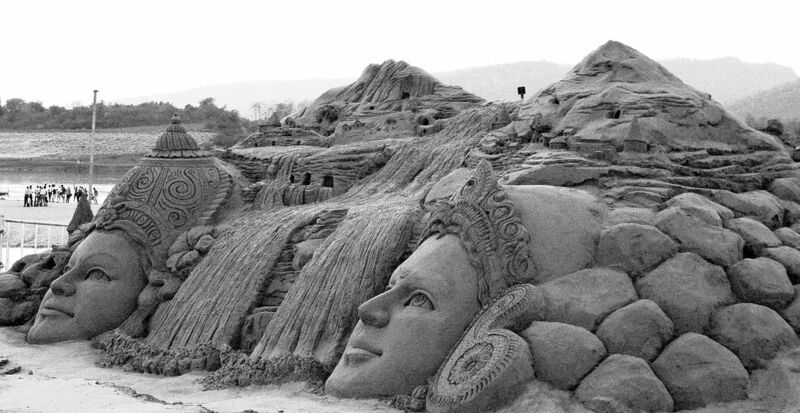 There are numerous sand sculptures symbolizing Indian Gods and Goddesses. Artists at all levels practice sand sculpting on the beach. There is no discrimination and you’ll be amazed by their dedication. But, why is Puri home to the majority of Sand artists, even though there are many more beaches in India? Well, a little stroll along the beach and chit-chat with the sand artists gave us this answer. 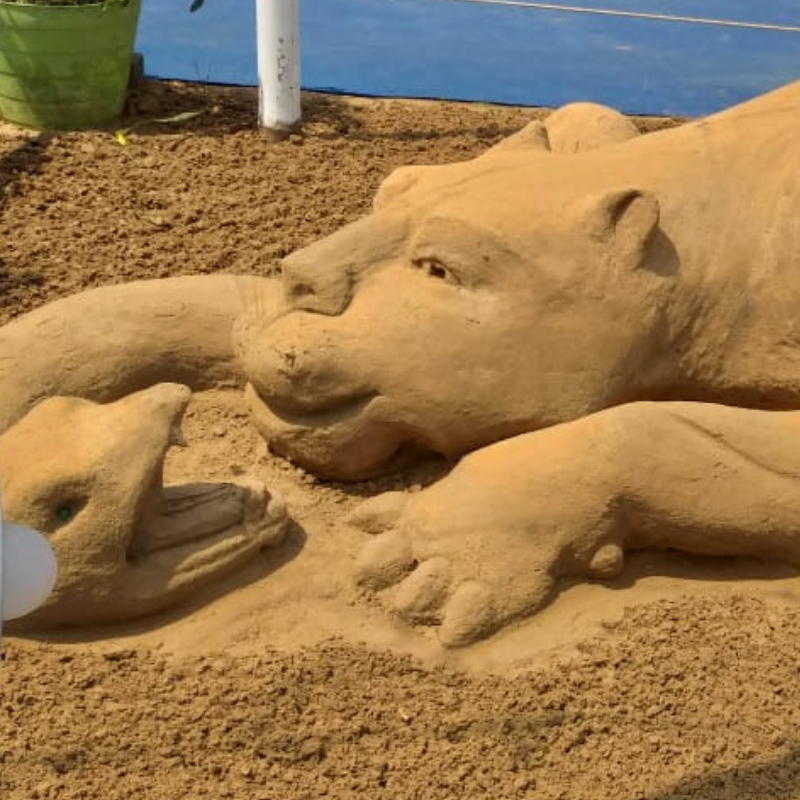 The fine grains of sand make it possible to carve beautiful sculptures. Though they require to clean the sand of pebbles and seashells, still, the sand is golden and one of the finest qualities found in India. Also, Puri being the birthplace of Sudarshan Pattnaik- the renowned sand sculpture artist; inspires the locals to practice for hours carving shapes on the sand. Another interesting fact we found about the beaches of Puri is – the ocean never takes in anything from Puri. Whatever goes into the ocean, the waves throw them back. People believe, it is the grace of Lord Jagannath that ocean bows and returns to him. 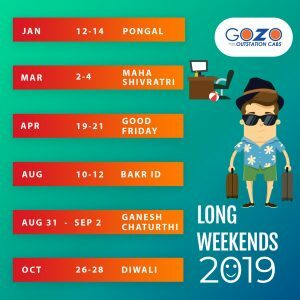 If you’re on a short trip to Puri, here’s a handy guide on places to visit, their timings, etc.